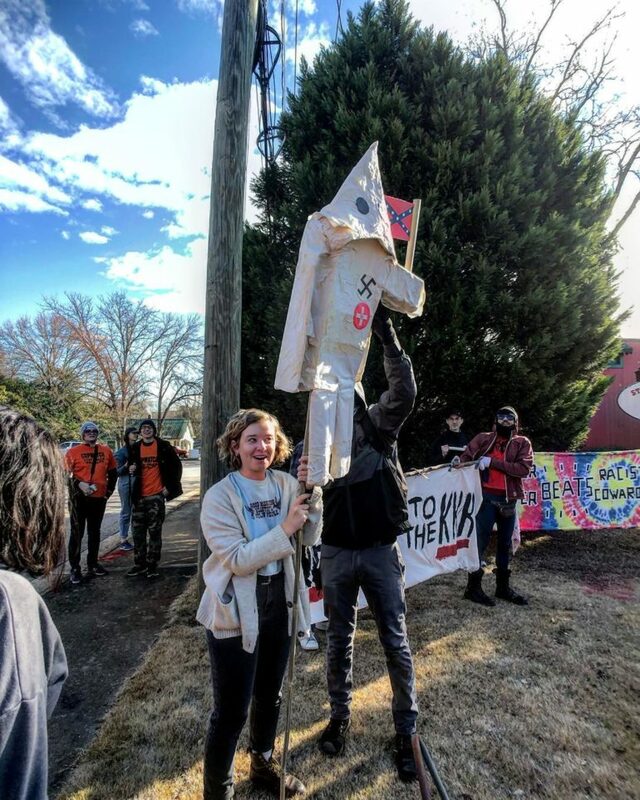 White supremacists were a no-show at a planned rally at a Georgia Confederate monument on Saturday as local authorities cracked down and counterprotesters torched a Klansman in effigy. The self-described white supremacists, including members of the Ku Klux Klan, had planned to rally on the eve of the Super Bowl some 15 miles east of Atlanta at Stone Mountain Park, where Confederate leaders are etched into a giant rockface. But law enforcement authorities, who had denied the group a permit, shut down the 3,600-acre park, the Atlanta Journal-Constitution reported. The Super Bowl is being played Sunday at Mercedes-Benz Stadium in Atlanta. Though the supremacist rally fizzled, hundreds of counterprotesters — several of them armed — marched in the nearby town of Stone Mountain Village chanting: “Good Night, Alt Right” and “Goodbye Klan.” Protesters held signs reading “Death to the KKK,” “Dixie Be Damned” and “Sandblast Stone Mountain.” The highlight of the rally was the torching of the Klansman figure.